A little while ago we asked our Twitter followers what the most beautiful place they'd ever been to was. We've gotten answers like Switzerland, Iceland, and Venice. Well, we decided we'd share what we think the most beautiful places are. Basing my answers strictly on beauty I have compiled the following list. This wasn’t actually all that easy as Talia and I combined have lived in 5 US states and 7 countries, and visited some 40 odd countries. Therefore I thought it would be best If Talia and I each gave our top 3s and see what you guys think. Ok so I remember as a kid in school reading a short story about a day when the sea froze over. 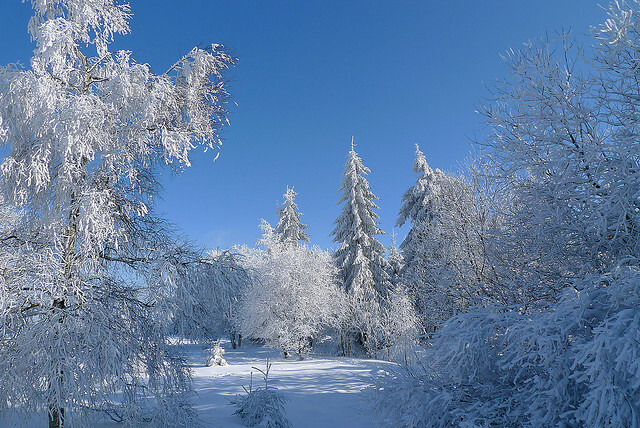 I remember quite clearly that our teacher told us that the sea can never freeze because it has too much salt and it moves constantly, and unless it is in the tundra or polar regions, it could not freeze. Well, He was wrong. I lived in The Liaoning province of China and I saw it with my own eyes. It was absolutely astonishing. The sea had frozen over from the shore, miles out to sea. Up until that day I would have argued that it could never happen but there it was before my eyes. We head out onto the ice. Talia standing on an impossible mound of frozen sea. I lived in Belgium for a year (don’t ask why!) and Belgium is quite often a country that’s a little bit forgotten about. You hear people saying they are going on holidays to france or Italy but never really Belgium, unless passing through. Well I have to say that anyone missing Belgium would be missing out. Belgium has some AMAZING stuff to see and even a short pop over would certainly be worth it. While I was working there I had to drive through this forest over these mountains a few times a week. The drive would take me past some amazing wildlife such as wild deer and wolves and past the highest point in Belgium. Once the snow came, it became one of my most favorite places to be. 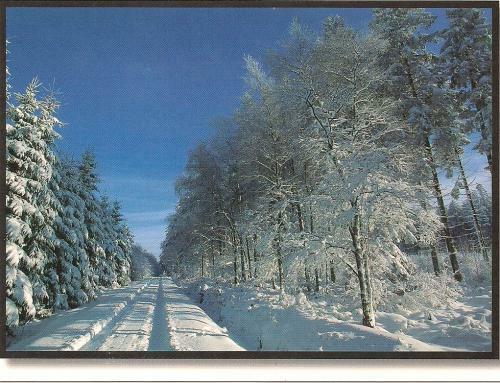 I loved driving through there, and watching the carpet of white and the tracks of whatever had crossed the road last. There were times when a group of over a dozen deer and stags, all covered in snow would stand at the side of the road eating grass or waiting to cross. it was truly amazing and I don’t think my words can do it justice, but hopefully my pictures will. Yep! China again! Whenever you watch Kung fu panda or crouching tiger, hidden dragon or any movie that is harshly stereotypically Chinese they will film in certain distinct locations around China. Yangshuo is one of those. Yangshuo is a small village in the Guangxi province in china, and this village sits in the middle of the most strange rock formations I have ever seen. The village is literally surrounded by these tall karst mountains on all sides, it is an amzing place to visit. We stayed smack in the middle of one of the most beautiful areas for a few days and just chilled and wandered, just because the scenery was so amazing. 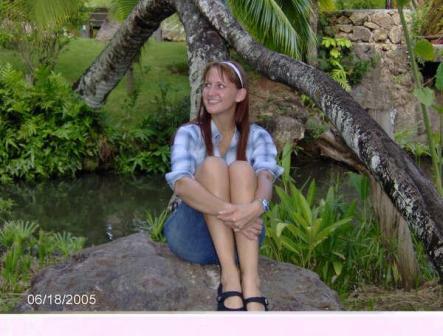 I attended college in Hawaii for the first two years of my higher education. The school was in a small town called Laie, situated near the north shore of the Oahu island. It sat between the ocean and the mountains, nestled into the small quiet town. Now, I say the town is one of the most beautiful places I’ve been because it is home to a few specific beautiful places. Oddly, the local cemetery was one of those places. People planted plumeria trees over graves, or hibiscus. Flowering plants thrived there, not just dying bouquets. My friend and I used to take walks there and read the gravestones while soaking in the beauty of the place. 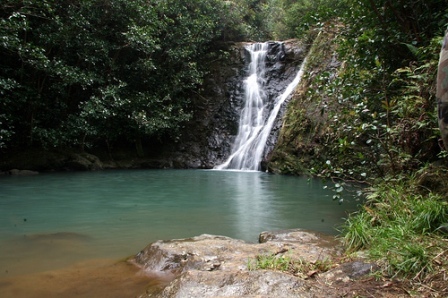 The Laie Falls hiking trail is also one of the most beautiful places in Laie. The first bit of the hike throws you into an evergreen forest where the ground is soft with a foot or more of long ropey needles, perfect for doing somersaults in. Then you are thrown into an open area with low bushes of strawberry-guava ripe for the eating during the right season. Finally, as you near the falls, the flora becomes greener, wild raspberries litter the slopes and then you are at the cool water where you can swim surrounded by forest. The town itself was beautiful in a more unusual, quirky sort of way. Outside the small rundown houses towered huge breadfruit trees, coconut trees, plumeria and banana trees. Chickens clucked and ran around, as did the small barefoot children. Behind the university were the university farms, replete with tropical fruit trees. Lilikoi, or passion fruit, was easy to harvest in the woods just near the school. Laie had small town charm and physical beauty as well. Flashback! See that tree? Elvis sat there in one of his movies. Since we have arrived in the country I have been absolutely astonished by the beauty of this place. On the first leg of our drive, I couldn’t get over the lush mountains just dripping with jungle. When we were high up on a mountain road, staring out at the tops of other mountains, I was sure that I was in paradise. It’s really hard to define what is so beautiful about Laos, so I’m just going to leave it at this: jungle, blue skies, small villages, waterfalls. 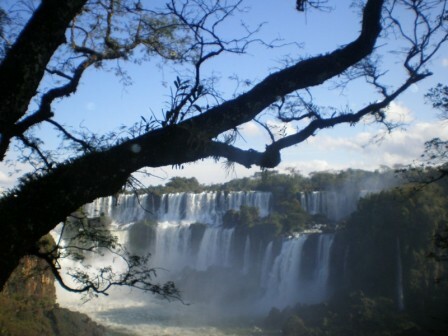 I lived in Argentina for a year and a half, and lived in a few distant cities. 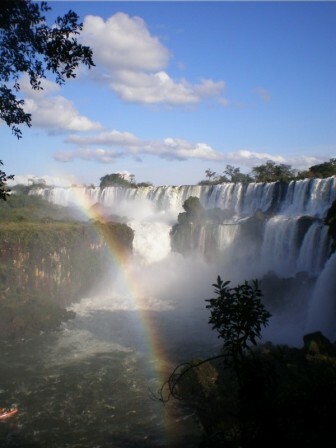 When I first got there, I was lucky enough to live just a couple of hours away from Iguazu Falls and got to go a couple of times. Also, my parents came to visit the country and pick me up when I was leaving and we visited the falls again. The first time I went, it was amazing. 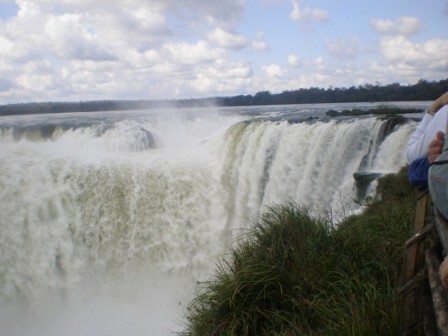 I had never seen anything so impressive as the Devil’s Throat falls, with its thundering water. 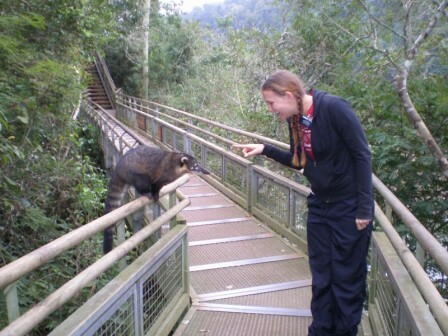 Me and a very sociable coati. Well, as you can see from our choices, Talia definitely prefers warm, jungley places, while 2 out of 3 of my choices are wintry. So what do you think? Did we get it wrong? Leave us a quick comment and let us know the most beautiful place you've been, or if you agree or disagree with our choices! We are very excited to visit Angkor Wat! What did you love about it? And where is Karijini National Park? This made me happy. 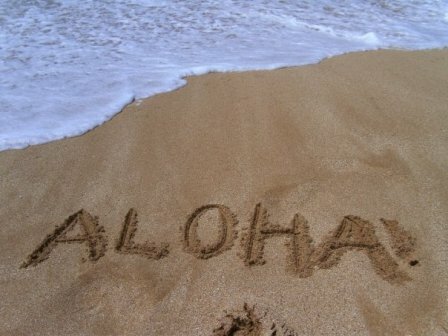 I can't believe you were only in Hawaii two years...but I loved the way you described it. 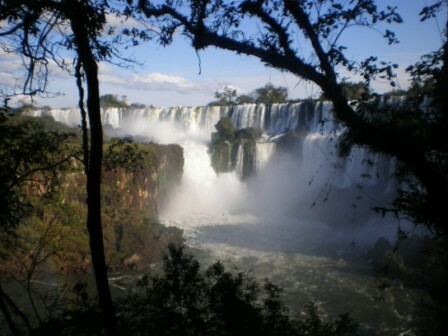 And I enjoyed the beauty of the other 5 places...maybe when I win the lottery I will visit them, too! Two years definitely wasn't long enough! You are welcome to join us on our adventures as soon as you win the lottery! Even before then, if you like. Nice work friend. Your images are very nice and like beautiful places around the world. I visit in Hawaii before my grand canyon bus tourswith my wife to enjoy the winter holidays. It has various places for enjoyment. Laie is a nice place but it has various places for visiting in this State. The Na Pali Coast State Park, Sea Life Park and Bishop Museum are also visiting places in Hawaii.